See their brand-new collab with Paperless Post here. FROM LEFT Ballet Day. The Nutracker Suite. We know, we know. 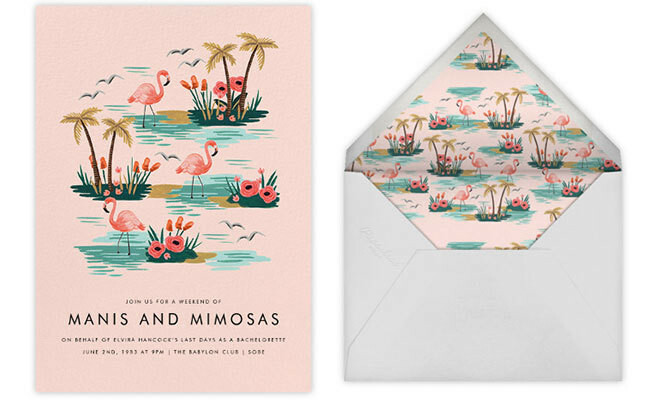 You've been hearing an awful lot about Rifle Paper Co. lately. But when something lives up to the hype, it deserves all the attention it gets. Such is the case for the company Anna and Nathan Bond launched in 2009 out of their garage apartment in Winter Park, Florida. Flash-forward six years, and the brand is not only a bona-fide international lifestyle brand encompassing everything from iPhone cases to illustrated book covers, but the Bonds were also named to the Forbes 30 Under 30 list. The latest? 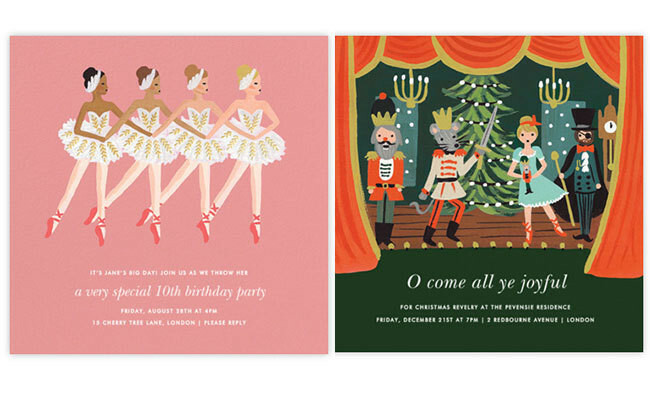 A genius collab with Paperless Post—one of those "what took them so long" synchronicities that resulted in 200 paper and digital designs for birthday parties, baby showers, ballet excursions, and more. 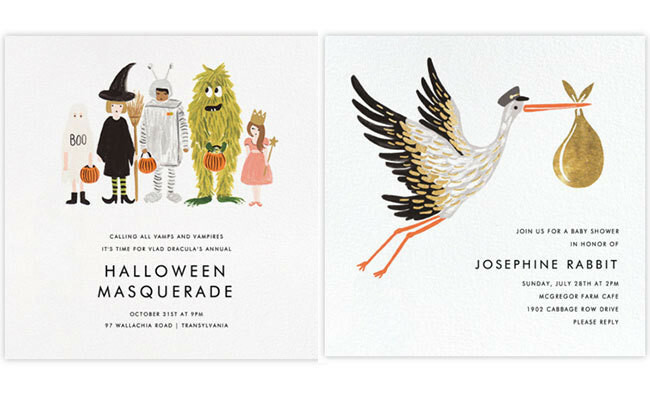 If we were throwing a Halloween masquerade, for sure this is what we'd be sending. FROM LEFT Little Treats. Stork's Bundle. For the next few days, New Yorkers can shop for the ridiculously irresistible goods at a floral-themed pop-up shop dubbed the Bloom Room (171 Elizabeth St.; open to the public through October 11). And yes, we'll be joining you.